Welcome to the Via Marina Neighborhood one of Oxnard's most desirable communities. This house, 3564 Keel Ave. Home for Sale, was under contract in three days for top dollar. This is a very open and popular floor plan located in an ideal family environment. The house has 3 bedrooms and 2 full bathrooms with approximately 1,310 square feet of living space on a 6,000 square feet lot selling for $499,000. Homes in Via Marina are very close to the beach and the Oxnard Marina. The neighborhood is surrounded by well paved roads, family parks, and top quality elementary schools- making this area ideal for families. Here is a short look of the inside of 3564 Keel Ave Home for Sale in the desirable Neighborhood of Via Marina in Oxnard, California. This is a very popular floor plan, single level, with an attached two car garage and a private master bedroom. The home was under contract in in three days and selling for $499,000 in move in condition. 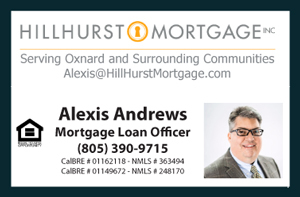 Alexis Andrews from Hillhurst Mortgage was the lender present at the Open Houses helping the local neighbors with affordability concerns and Real Estate Financing. Special thanks to him for taking the time to meet and greet the Via Marina Neighbors and providing an educational platform via Open Houses for the community. Recently Listed in the Via Marina Community 3564 Keel Avenue Home for Sale in the beautiful coastal city of Oxnard, California. Featuring a single level house with 3 Bedrooms, 2 Full Baths, 1,310 square feet of living space on a 6,000 square foot Lot. Popular one level Open Floor Plan with excellent space flow and natural light. This home offers an ideal family environment. Located at the heart of Via Marina only a few blocks from Via Marina Park and Christa McAuliffe Elementary School. Less than 2 miles from the Oxnard Marina, where many local families enjoy witnessing Marine Wildlife. Move in ready with Frigidaire Stainless Steel Appliances. Open Kitchen with a breakfast bar and ceramic countertops. Desirable open atmosphere and space flow. New inter paint as bonus! Laundry area located in the attached two car garage. Enjoy the privacy of the Master Bedroom separated from the other two rooms. Ideal for families looking for maximum privacy and comfort. Convenient sliding door within the master bedroom leading out to the backyard patio area. Newer double pane windows with substantial natural light throughout. Spacious backyard with several fruit trees ideal for wonderful backyard memories with friends and family. Or you may enjoy the front porch area to create special moments during a front yard BBQ.